Compensation Pack Blog | Sony Playstation Network Hack was Only the Beginning of the Data Loss Scandal. 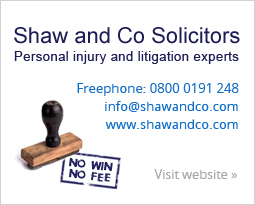 All the information and advice that you need to claim compensation in an easy to understand and easy to use pack. Sony Playstation Network Hack was Only the Beginning of the Data Loss Scandal. Lost Your Tenancy Deposit? It Can Be Saved! 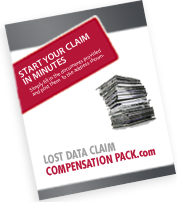 Latest news from Compensation Pack, keeping you informed about your right to claim compensation. Tuesday 31st May 2011Sony Playstation Network Hack was Only the Beginning of the Data Loss Scandal. Sony have yet more bad news to deliver on the data loss front, as they reveal that more than 8,500 Sony user accounts have now been hacked in countries including Greece. Sony recently had to shut down the entire Sony Playstation Network and Qriocity services due to a massive case of failing to protect the data protection rights of it's users. It is now apparent that there has also been a breach in the Greek Sony Music Entertainment website, adding to the number of Sony services which have to now suffer downtime as a consequence. Sony have been scrambling to make a come back from the previous hack and data loss problems on the Sony Playstation Network, in which data was lost from more than 100 million user accounts. Amongst the data that was lost were names, passwords, and addresses, all of which can easily be used in cases of stolen identity and financial fraud. On top of this, Sony have also been unable to confirm that the credit card data of those 100 million plus users was untouched. The Japan-based company have reported that they're likely to see around a $3.2 billion net loss for this fiscal year, which includes the insurance and damages that they will have to pay out to Playstation users who feel that Sony is in breach of their data protection rights. If you are a Playstation user, and feel that you have a case in regards to data loss, due to the Playstation Network hack, download our data loss pack to find out more information, and whether you are able to go about claiming compensation. © Copyright 2007-2019 CompensationPack.com Ltd.